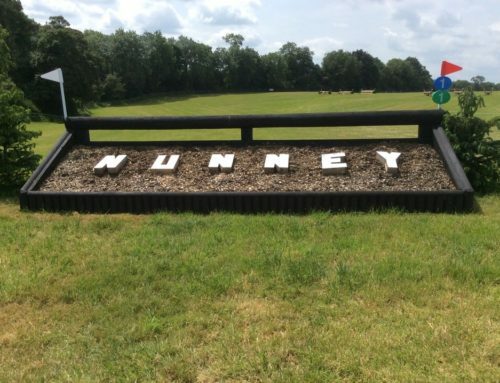 Mollie Summerland,19, took the top prize at Nunney International Horse Trials where she won the CIC2* riding her own Charly Van Ter Heiden. 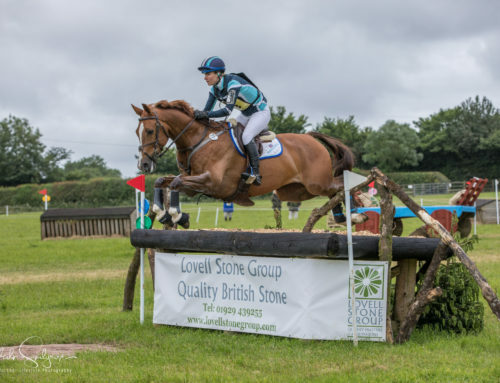 The teenager, who is based with Pippa Funell in Surrey, rode a beautiful double clear on the eight-year-old adding just 1.8 cross country time penalties to her dressage score of 40.9. “I thought the course asked fair questions and there was lots to think about. 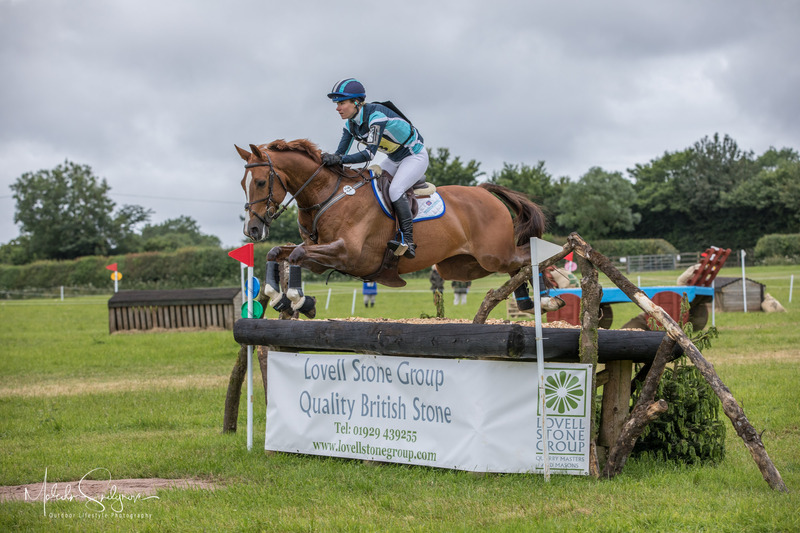 There were quite a few angled fences, but he is really good on his lines and he prefers it if I leave him to it,” said Mollie who receives training from Pippa and her head girl Frankie Murrell. “They’ve both been fantastic and have played a huge part in this,” added Mollie who was recording her biggest success to date. 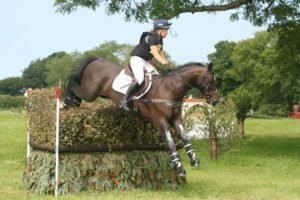 Jo was full of praise for the new Helen West-designed cross country courses which ran in a different direction this year. 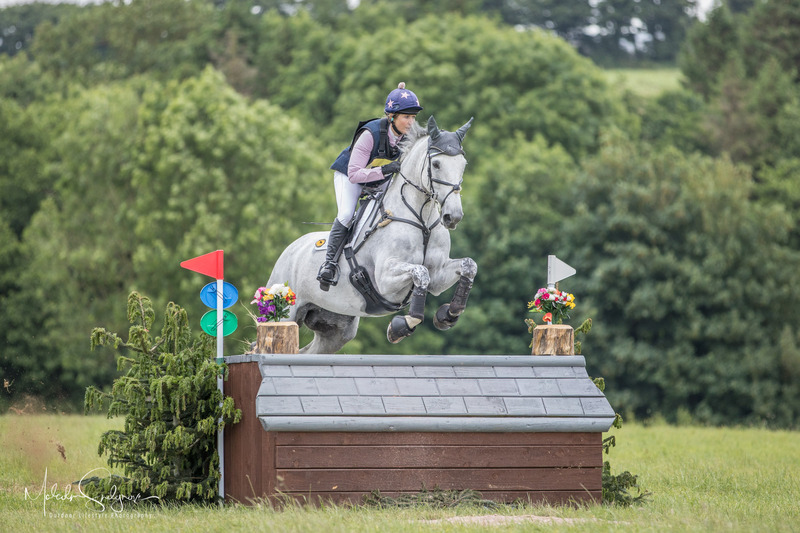 “They had much more flow and Helen’s done a wonderful job,” said Jo who also handed the plaudits to an army of volunteers at the cross country finish who were armed with buckets of ice cold water to cool down horses in the scorching hot weather. In third was Alexander Whewall, from Bristol, riding his mum Lianne’s 50th birthday present Edyvanta. ”We bought her three years ago from Mark Bosanko for mum’s 50th. 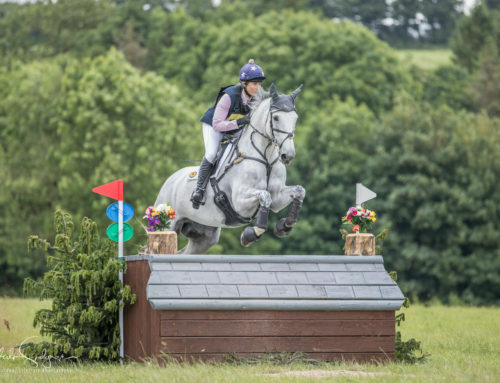 She’s a big horse and very talented and hopefully she will go for the eight and nine-year-olds class at Blenheim,” said Alex who is trained by Elizabeth Winter and Sir Mark Todd through the Bridge The Gap Scholarship. Sara Squires, fourth on Richard Oliver’s Lady Moylisha, was one of only two riders, the other was Thomas Hawke on Mr Crusie Control, to finish within the time. “She’s a formidable jumper so as long as I do my bit, she does hers. This is her first two star and our first proper season together. 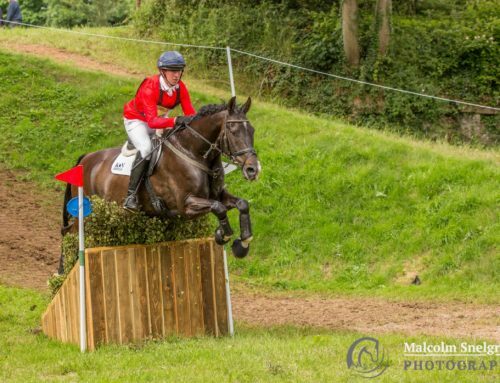 She’s qualified for the intermediate championships at Gatcombe and after that she might go to Ballindenisk. The course rode beautifully and I didn’t find I had to go fast,” said Sara. 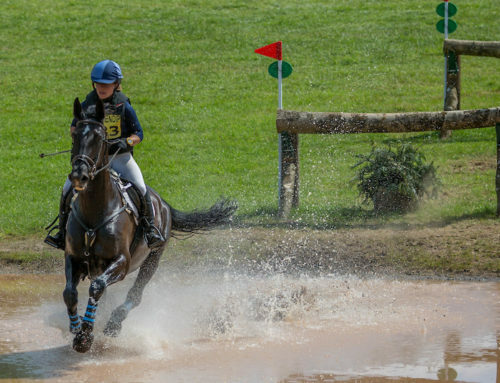 It was the first year Helen has been appointed as course designer, and she was delighted with the outcome in the international class with 53 of the 71 starters completing. 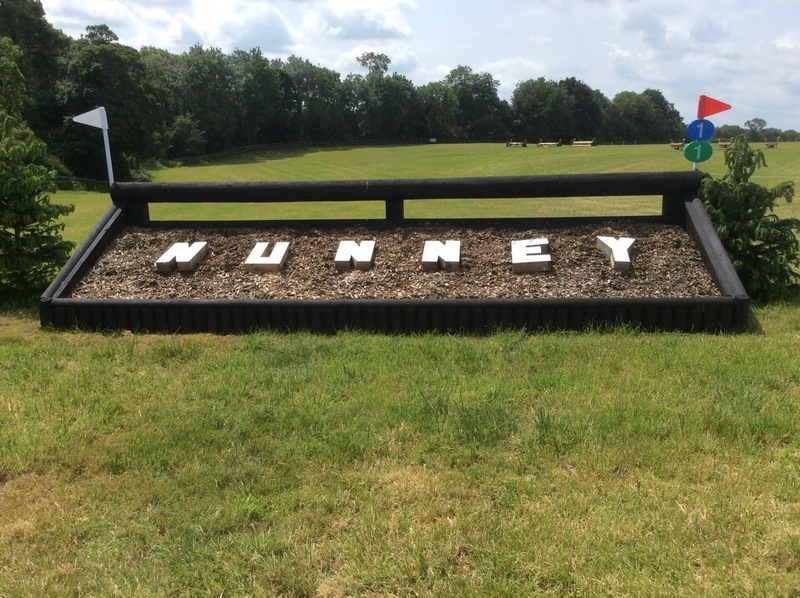 “The CIC2* track produced a great result. The track took some riding and rewarded those who rode positively but kept in balance. Those that were a little wild had glance offs or missed their turn and those that were not committed enough came to grief,” she said. Last year’s CIC winner, David Doel, won an intermediate section riding Tim and Alice Page’s seven-year-old Dinges Don Perignon with the second section going to Helen Witchell riding her own Miss Be Cool. David also headed a BE100 section on the six-year-old Royal Conquest. Hatherleigh-based Padraig McCarthy headed the open intermediate riding Liz Scott’s Fiveberry with the next spot filled by Holly Woodhead riding Australian import Airaz on only his second outing in this country. 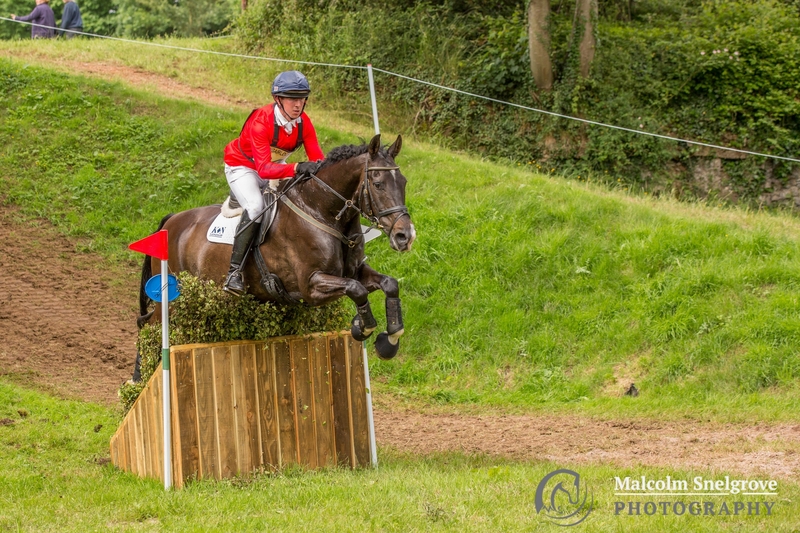 “I think today’s weather has suited him perfectly,” said Holly who also won a BE100 open section riding the Carl Hester part-owned Global H, who was initially destined for the dressage arena. 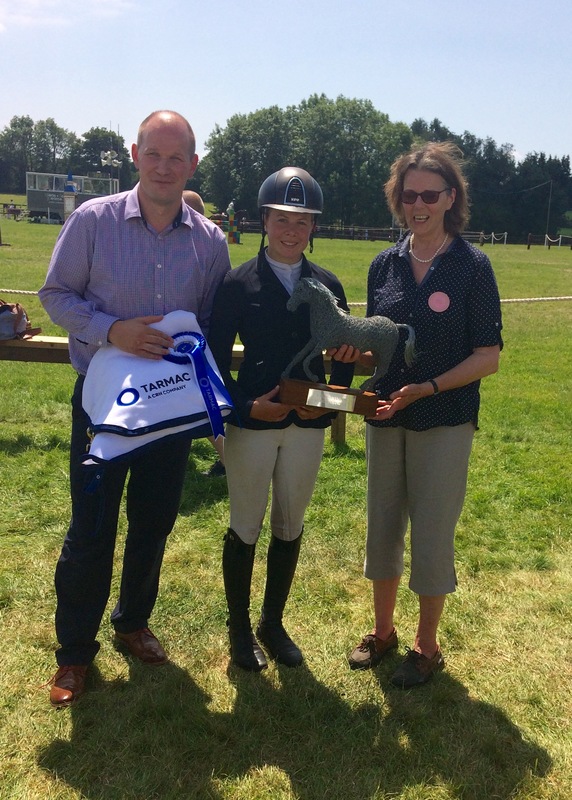 Pictured is Mollie Summerland with Tarmac’s Rob Symes and Jessica Colson.